Magic Box is a mechanical Squonker Mod host, which built-in an e-liquid bottle. 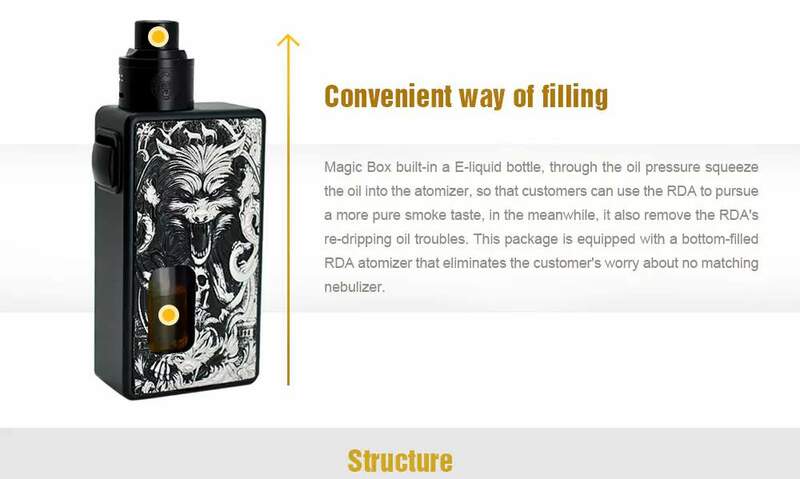 Through the oil pressure squeeze the oil into the atomizer, so that customers can use the RDA to pursue a more pure smoke taste. 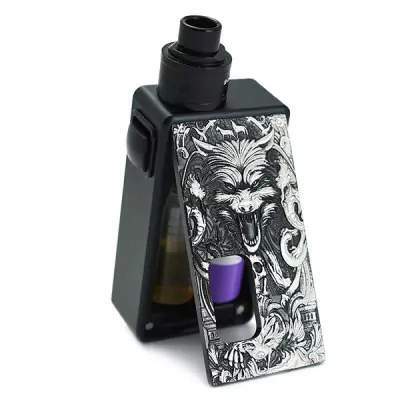 Magic Box is a mechanical Squonker Mod host, which built-in an e-liquid bottle. Through the oil pressure squeeze the oil into the atomizer, so that customers can use the RDA to pursue a more pure smoke taste. In the meanwhile, it also removes the RDA’s re-dripping oil troubles. This package is equipped with a bottom-filled RDA atomizer that eliminates the customer’s no matching nebulizer worry. 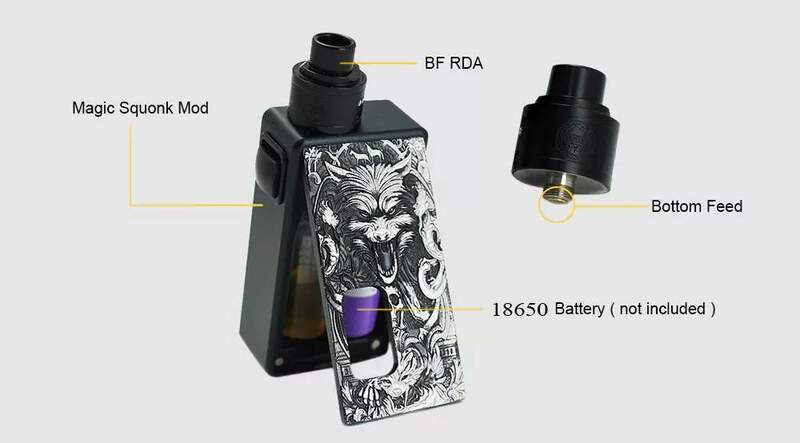 It has a convenient way of filling Magic Box built-in an E-liquid bottle, through the oil pressure squeeze the oil into the atomizer, so that customers can use the RDA to pursue a more pure smoke taste, in the meanwhile, it also removes the RDA’s re-dripping oil troubles. 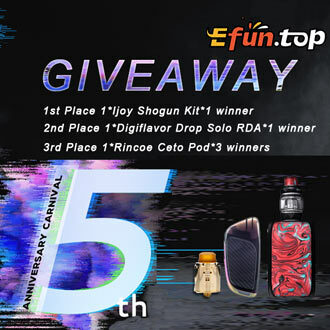 This package is equipped with a bottom-filled RDA atomizer that eliminates the customer’s worry about no matching nebulizer.